Lukas Neely is the Co-Founder of BetterInvestingHabits.org, InvestorVantage.com and Guru Investor Edge. He is on a mission to provide actionable investment ideas, tools, videos, tutorials and educational material to help individuals invest better. Stay in touch with Lukas via our social media platforms for valuable ideas, updates, prizes and contests. Peter Kennan takes a deep value approach with an interesting corporate finance strategy to create value maximizing catalysts for his investors. Steve Mandel is a Tiger Cub who founded Lone Pine Capital in 1997. He has a higher turnover than most of the investors we follow. This article covers three companies from Mandel’s portfolio that we find interesting. Intel…Are Shares Attractive At Current Levels? For the upcoming quarter, management says they expect revenue to come in around $14.8 billion and gross margins to stay around 62%. Underperformance…Is It A Necessary Evil? You will underperform. We will all underperform at multiple points while investing in the stock market. I hate to break it to you, but it’s an inevitable fact of life that we will underperform the market from time to time — and it’s perfectly OK! What’s good for investors is not necessarily good for Wall Street (and vice versa). The interests are not aligned properly for Wall Street to serve as stewards of long-term capital. My TEDx Talk: Is This The Death Of Investing? Thanks for all the kind words and support! Enjoy! Description: An investment publication and consulting company specializing in active value investments, high quality investments and portfolio management. 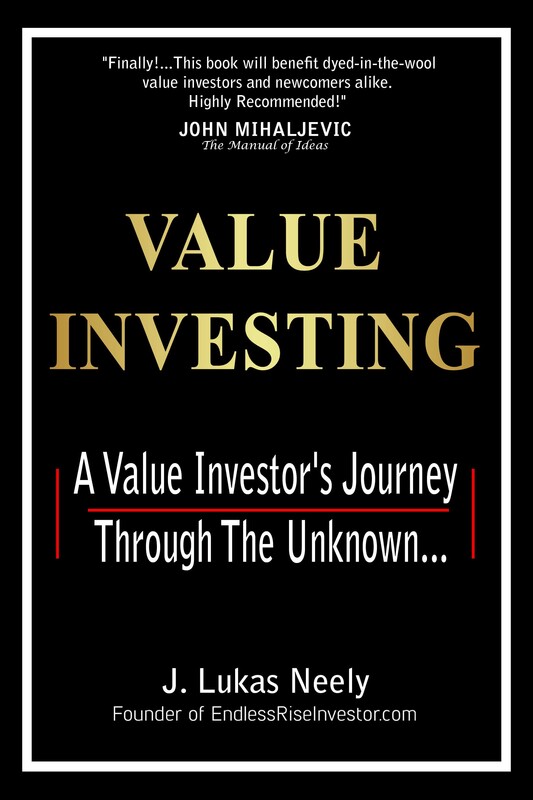 Conducts In-depth interviews with the top value investors of today. Description: Created and implemented a long-term, multidisciplinary, absolute return oriented, value investing approach to investment decisions within the company. Executed a long-term fundamental value-based approach to company selection; emphasizing durable competitive advantages, low multiples to free cash flow, earnings power and asset values. Advised private investment of subsidiary businesses, covering various asset classes. Total returns beat all major U.S. indices while managing the value portfolio since Jan 2010. Presented, assisted, and interacted daily with the CEO/CIO on issues related to investment decisions. Developed and maintained approved equity long and short lists for traders. Provided analysis and due diligence for approved investment list for traders. Researched new areas of investment opportunity. Idea generation backed by fundamental (90%) and technical analysis (10%). Lukas Neely is a former Hedge Fund Portfolio Manager. He gave up his "cush" job to help individuals invest better. Plain and simple! You know how frustrating investing can be when you are trying to find great investment ideas and opportunities? Based on real world experience managing millions of dollars, extensive research, and one-on-one interviews with some of the top performing investing experts and minds in the world—from Mitch Kovitz, Vitaliy Katsenelson, Jon Shapiro, and many more—Lukas Neely has created a simple 5-step multidisciplinary blueprint that anyone can use to create investing success through value investing. Neely has a great way of using real world examples, case studies, and stories to illustrate even the most complex investing concepts—making them simple and actionable. Access the strategies of the best professional and rising start investors. Value Investor Confidential showcases detailed interviews and ideas from only the world's best & rising star investors. If they don't qualify then we don't bother. Some you will recognize --- other's are a little more low-profile or unknown. Idea Generation From The Best Investors Of Today.